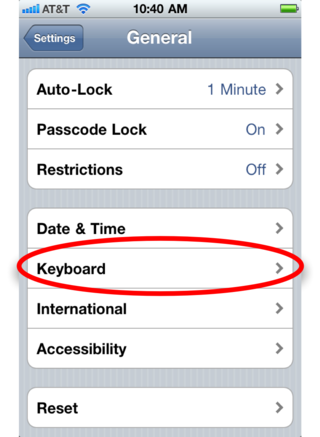 Hold down the "option" key and tap the letter "e". Let go and immediately type the letter that needs an accent. Hold down the "control" key and tap the apostrophe key. 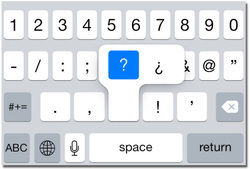 Hold the “alt” key and type the number on the keypad to get the desired Spanish letter or punctuation. Make sure the number lock is on! On an iPhone, iPad, iPod touch, etc. 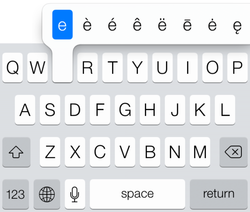 1) Hold down the letter or punctuation mark you want to add an accent to. A row of accented versions of the letter will pop up. 2) Slide your finder over to the accented letter of choice and let go. Voila! On a side note, you can also add a Spanish keyboard so that it will auto-correct in Spanish and not draw the red squiggly lines under all your words. To switch keyboards after you have added the new one, just click on the globe icon.